Cats are fussy, but they seem to like the naturals. Super Product! I can't keep enough in the bowl. Finally a dry cat food that my cat enjoys! 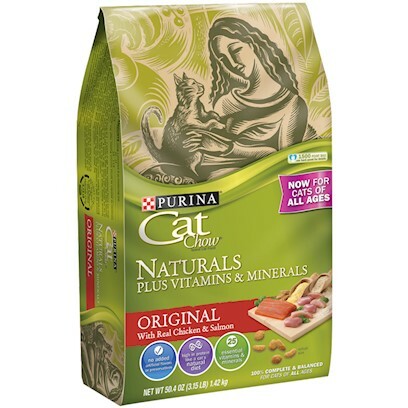 My cats love Purina Cat Chow Naturals! Great food for a very good price. Purina Naturals or nothing at all! Natural for a Value Price! Cats love the Naturals and we love the price!